Wow, what a road this has been. After a decade since its announcement as Final Fantasy Versus XIII, it’s finally here. 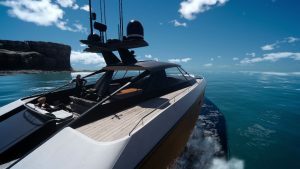 The newest mainline entry, Final Fantasy XV, has been released. Like, as a game you can currently buy. Years of silence, team member changes and delays have led us to this point. And you know what? It was worth the wait. I was initially very skeptical of the quality of the end product. There were two demos released in the past year, and both failed to impress. The first, Episode Duscae, consisted of some content that was going to exist in the final product and gave everyone their first look at such things as the combat and the open world. And while said world was impressive in its scale, the combat wasn’t very engaging to me and the camera was a total mess. Then came the Platinum Demo, which boasted content not found in the final game, but also succeeded in misrepresenting the final experience completely. I wouldn’t blame anyone who thought the game was going to bomb. But troubled development seems to be the current trend with FF lately and it always seems to work out in the end. Final Fantasy XV is no exception. The game opens with the four protagonists getting their asses kicked by a tough opponent, before flashing back to the actual beginning where their convertible breaks down and they must push it to the gas station to the tune of Stand By Me. 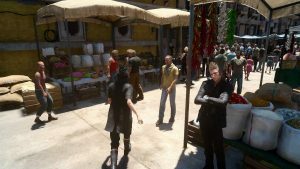 You learn early on about the unstable political situation in Lucis, and that as Prince Noctis, you’re on your way to marry Lunafreya of Tenebrae as part of a strategic maneuver. Of course, as all weddings go, nothing goes quite as planned and it’s up to you and your three comrades to set things right as the world hangs in the balance. One doesn’t notice right away, but the further you progress in the narrative, the more it becomes clear how many cooks were in the kitchen during Final Fantasy XV‘s development and how the whole thing feels like a Frankenstein of ideas stitched together. 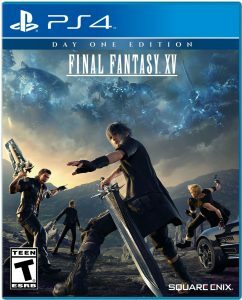 You have the first half, which is effectively an open world, four-dudes-on-a-road-trip adventure which in my eyes is one of the most original ideas in a JRPG to come around in a long time. Not much happens in this half, which is a little annoying since a solid chunk of the side quests there lack any sort of depth, but it still somehow works on the account of the laid back nature of the whole thing. 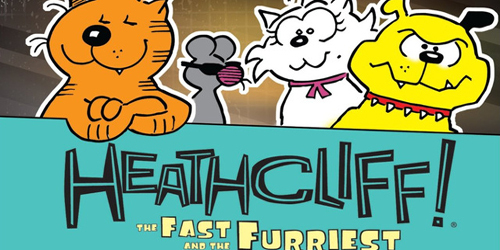 The second half is where things heat up and transform into a linear and serious mad dash to the end, which is great if you’re starving for some storytelling, but there is far too much information left out and many side characters still didn’t get much needed development before disappearing completely. In fact, a lot of vital information was reserved for the Kingsglaive film and Brotherhood anime, which is frustrating. There is a fantastic story to be found here, it’s just very poorly told. I never thought I’d say this, but this is an FF game that would benefit from more cutscenes. The fact that despite all of its issues and all of the changes that went into the game, that it still is a title I would recommend to someone, is nothing short of amazing. The main cast is incredibly likable, made more so with the supplemental campfire scenes and amusing banter that takes place among them throughout the game. 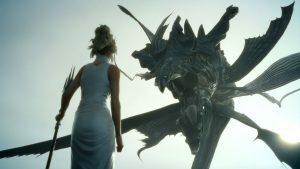 The narrative also features one of the best antagonists the series has seen in several entries, and many of the supporting guest characters were interesting enough that I’d have enjoyed even more screen time from them (in fact, the likes of Iris and Aranea were criminally underutilized). It also ends on a very satisfying and emotional note, which I loved. In terms of presentation, Final Fantasy XV is a visual treat. The draw distance is impressive, made even more so due to being able to travel to much of what you see. Monster designs are jaw dropping, particularly creatures like behemoths or malboros. And the summon animations are just… wow. The best part is, the frame rate doesn’t suffer like it did in the first demo, though it can still choke when there’s a lot going on. Sadly, much of this visual fidelity comes at the cost of extremely long loading times. The audio portion was equally up to the task, supplying intense orchestral tracks at just the right moments, with some equipped with the kinds of gospel like chanting one would come to expect from some of the more epic battles. The Florence + The Machine version of Stand By Me that is used as the game’s theme song is a very good rendition, even though the song itself didn’t leave the kind of lasting impact that Eyes on Me or Melodies of Life did in prior entries. Having key songs from every entry in the main series playable while driving the car from place to place was a nice touch too. Both English and Japanese audio dubs are included, though I found the English voices particularly enjoyable. Gladiolus is a little rough, but he grew on me with time, and the actor for Prompto nailed the character rather well. 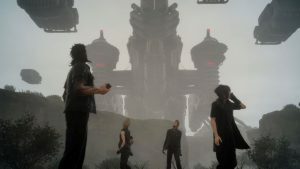 Radical departures in gameplay should be nothing new for Final Fantasy fans at this point and FFXV is no exception. Rather than being a turn-based affair, the combat is more action oriented, akin to something like Kingdom Hearts but with a dash of Devil May Cry thrown in. Players attack by holding down the circle button, though pressing the left analog stick in any direction will change up the combo sequence. Weapons are changeable on the fly with a touch of one of the directional buttons, and Noctis can roll away or dodge with square. A key aspect of the combat is the ability to warp and while it seems rather gimmicky at first, it’s not only a lot of fun, it plays into the strategy quite a bit. Noctis can throw his weapon into a foe to get a preemptive strike before launching followup attacks, or stick it into a far off wall or cliff to escape harm. Since many maneuvers cost MP, warping into a cliff will instantly regenerate Noctis’ reserves. Add in the ability to jump, lock onto enemies, and duck into cover, and you have a rather impressive repertoire to work with. The camera is one of the biggest challenges to overcome. It works well for the most part, but any time you engage enemies in a small space or go up against one of the massive foes that doesn’t have fixed angles, it has the tendency to spin out of control or obstruct your view. You also aren’t given much control over your party members. 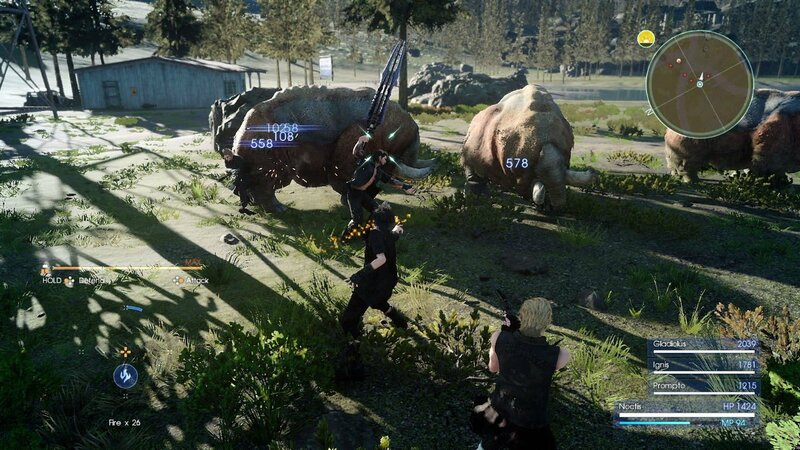 They tend to do their own thing, though you can equip them with skills that have to be manually triggered by the player, which in turn offer active time events for Noctis to join in on the attack. Fortunately, the A.I. is mostly competent, though they tend to take their sweet time helping you up if your HP hits zero. That’s right, characters aren’t knocked out once their hit points run out, though their maximum health does decrease while in this “downed” state and letting that fall to zero takes them out of the fight. However, even then they can still use a phoenix down on themselves, so as long as you have enough items in your inventory, you can never truly lose a fight. Magic and summons take a back seat to the frenetic melee combat, though they still have their uses. Summons are extremely difficult to trigger, as not only do you have to be within a certain zone for one to become eligible, but then the criteria is so specific such that it almost feels entirely random when it happens. Magic has to be drawn from other objects and then effectively constructed into a spell whose potency and side effects are based purely on how much magic and other items you put into it. This means that spells are limited use and then have to be crafted again, though if you know what you’re doing, a player can put together a truly devastating magical arsenal. At the same time, it’s such a time consuming thing to mess with that I suspect most will utilize it very little. Rather than leveling up immediately, experience points are banked until your party sets up camp for the night or crashes at one of the many hotels found on the journey. If you’re looking to level up fast, these hotels are the way to go, as they can multiply the earned experience when it gets dispersed to each player. Setting up camp has its benefits too, since Ignis can prepare fresh meals that bolster your party with added attack power and resistances before setting out the next day. Other abilities, including skills for your comrades, are gained from earning AP and spending them on nodes not unlike a sphere grid system. 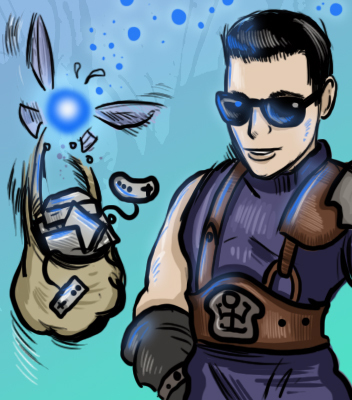 Each character also has their own specialty, be it fishing or taking selfies (seriously) that when improved will offer a multitude of benefits to the party. To personalize things further, everything from the car to chocobos can be tailored to your tastes, and there’s even a few outfits for the party members to wear around to complement the weapons and accessories they would get normally. Overall, the battles were one of my favorite things about the game. Based on the demos alone I thought I was going to dread the combat, but I found myself wanting to get into fights more as a result. In fact, Final Fantasy XV has some of the most enjoyable boss confrontations, and even the few unimaginative ones do little to detract from that. The dungeon design is rather spot on as well, save for a few optional places that prompt a bit of hair pulling. There were several occasions though where the developers felt the need to stray into stealth/survival elements, which felt jarring and out of place. Especially during one late game chapter that has almost its entirety dedicated to it. Since the map is a bit too big to travel entirely on foot, the party’s convertible is going to be the main method of travel. You can have Ignis take the wheel or control it manually, though traveling the world’s roadways is akin to being guided along rails, so you may find yourself going on autopilot more often that not. Fast travel by way of car is an option, though the loading times are so long it’s sometimes more worthwhile to just drive the distance. Fortunately, you can shop while on your joyride so it’s not as if it completely lacks interactivity. 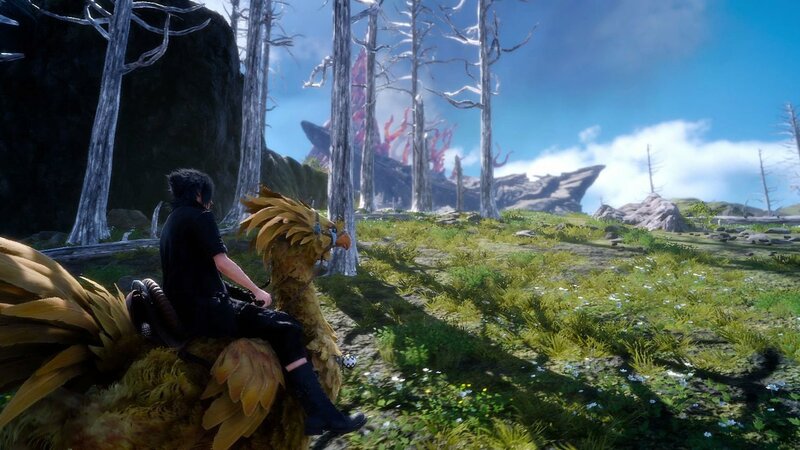 Chocobos are an option too for offroad adventures. If you focus strictly on story missions, the game can be cleared in 20-30 hours or so, though certainly there’s much more to do. As of this writing, I’ve spent over 85 hours in Eos just doing side quests and other optional content and there is still much I’ve yet to explore. This will be bolstered even further with the addition of DLC that I should hope will be released sooner rather than later, but even without it there is plenty of content. I do wish there was more of a variety of side quests than what there are. I can only help out so many people with broken down cars or capture frogs at a pond for so long before I start to yearn for the more thought out adventures of The Witcher 3. At least there is a good amount of minigames like chocobo racing to diversify things. I didn’t encounter a lot of glitches, which is unusual for a title of this scale, though they did pop up on occasion. One time, I left town and my screen turned to a blinding shade of white, rendering me unable to see what I was doing (I don’t recall how I fixed it either). There was another occasion where the game crashed outright, forcing me to revert to a previous save. Fortunately, the auto save system kicks in frequently and you can choose to record your progress manually if you’re feeling particularly paranoid. Fans have been waiting a long time for this release. A long time. And this passing of time is very evident by the lack of cohesion in its design. While it didn’t realize its full potential, what is here is still a very stellar game. Driving across the countryside with your posse and slaying monsters is a grand time, and the various dungeons and monster encounters are well designed. The story is in need of some serious work, though the core is very solid and ends on a satisfying note. 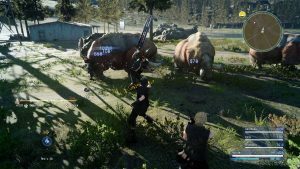 And let’s not forget about the combat; something that is simultaneously the biggest departure and the greatest success of Final Fantasy XV. It may not revolutionize the genre, but I cannot recommend the game enough if you’re looking for a unique experience this year. Final Fantasy XV is finally here after a decade following its initial announcement. And you know what? It was worth the wait. The premise of having a prince and his three companions journey the countryside by car is a unique one, even if the latter half of the game can’t deliver on all of the promises of the first. The protagonists are a likable bunch too, though it’s a shame the supporting cast isn’t more fleshed out than what they are, leading to some scenes that I’m convinced would’ve been more emotional had they been. However, the game still offers plenty to do, even if a number of the quests feel samey and the combat is equal parts stylish and satisfying. It doesn’t hurt that everything both looks and sounds amazing too. 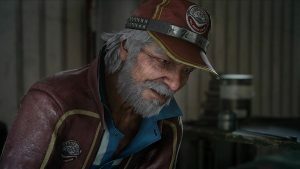 At the end of the day, while I’m disappointed that Final Fantasy XV didn’t rise to meet its full potential, it’s also some of the most fun I’ve had with a game all year. Don’t let your expectations of the past ten years color your experience and you’re bound to have a good time too.